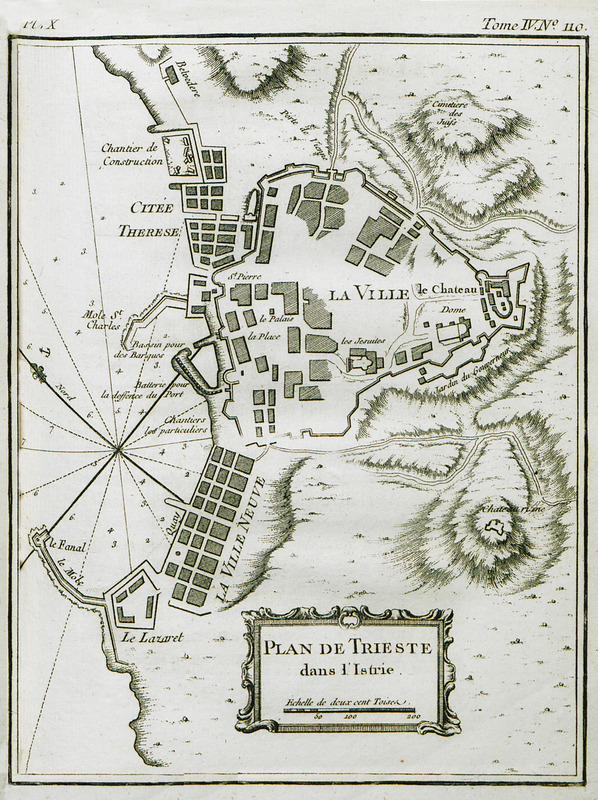 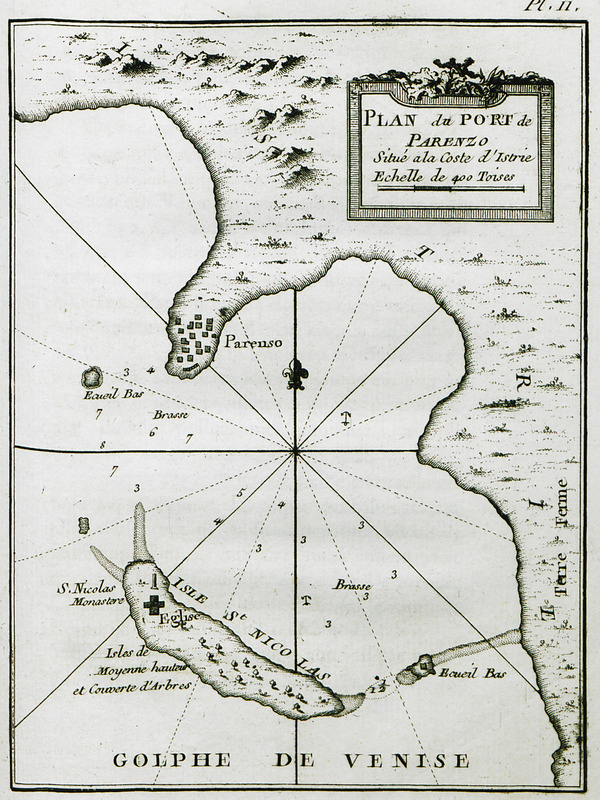 Map of the port of Poreč in Croatia. 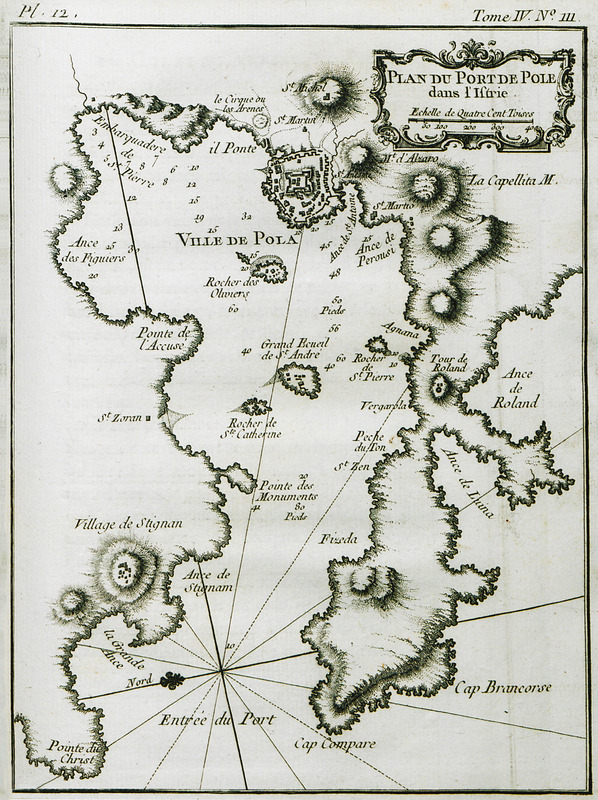 Island off the coast of Istria, probably Sveti Nikola island outside Porec. 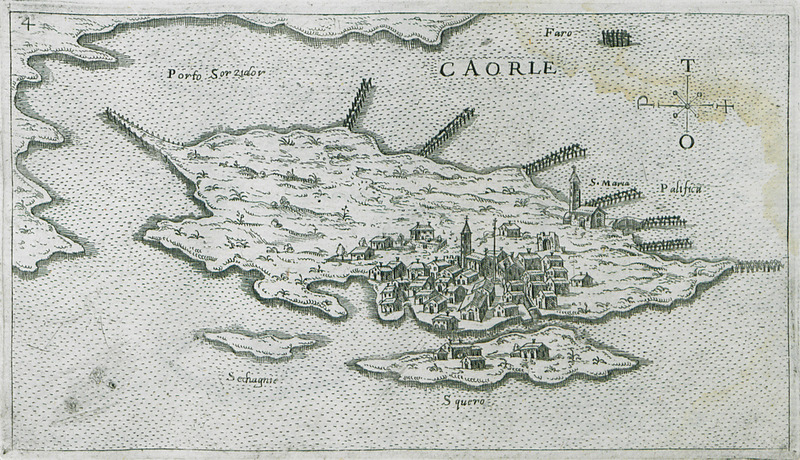 Map of Rovinj on Istria peninsula. 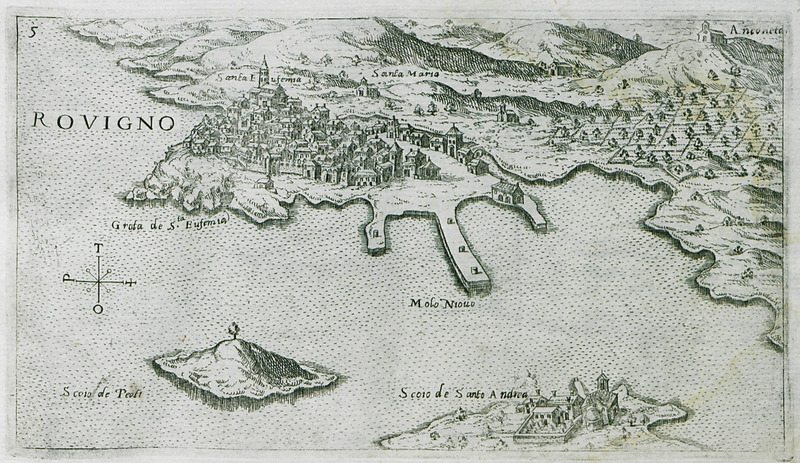 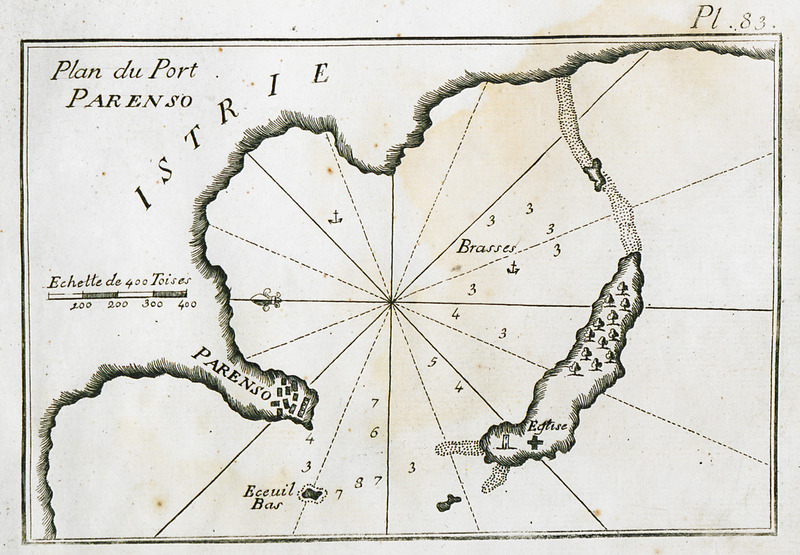 Map of the port of Pula in Croatia.